If you’re an Audi fan, and you’re getting up there in age, you probably remember when the Audi 100 CS Turbo Quattro sedan managed to climb the Kaipola Olympic Ski Jumping Hill in Finland. If you remember that, you remember it didn’t do it without at least a little help – outside of its all-wheel-drive system, it also had studded winter tires. If you weren’t around to see this happen yourself, we’ve included the video a little further below. For now, however, you’re probably wondering why this is relevant today – after all, that happened some 30 years ago. 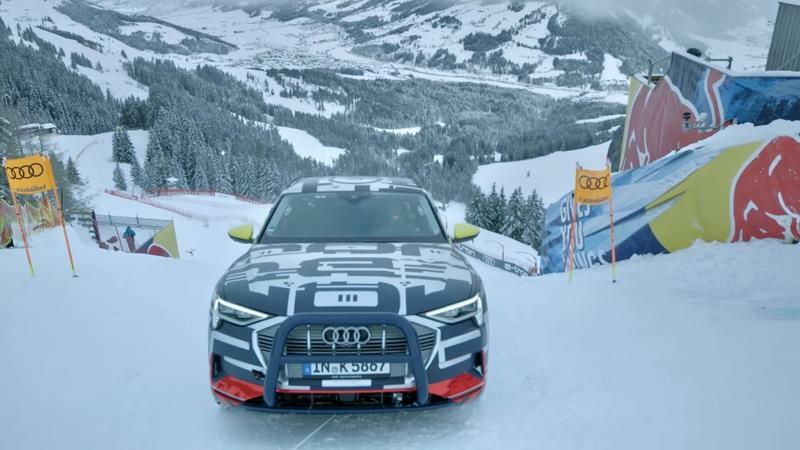 Well, it’s relevant because Audi is back to its old gimmicks yet again, this time climbing the Mausefalle slope of the Streif in Kitzbuhel, Austria with the all-new Audi e-Tron EV. The catch? This slope sits at an 85-percent grade, which means it’s nearly vertical. 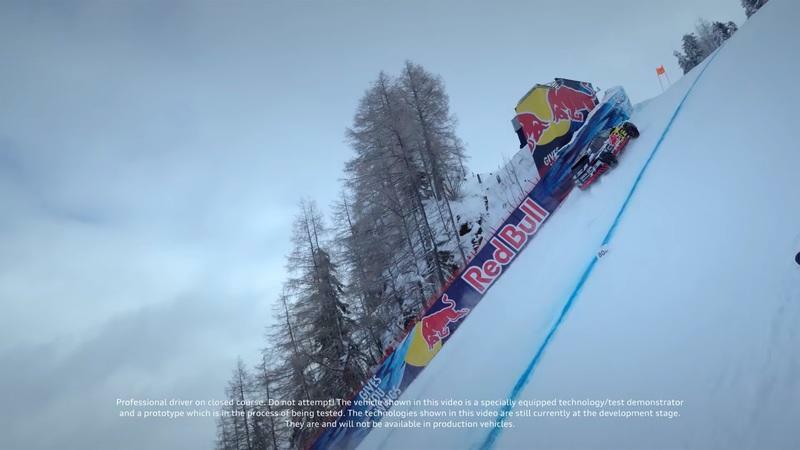 While it’s pretty amazing to watch this electric SUV climb one of the steepest ski slopes known to man – 85-percent is no joke – it goes without saying that there is some gimmick involved. Just like the original climb in the 100 CS Turbo Quattro Sedan, the e-Tron Quattro EV is equipped with studded snow tires. That means the tires essentially have hundreds of little claws that can dig into the snow to increase traction. Can the e-Tron Quattro make the same run on standard snow tires? Well, we’ll probably never know, but I’m guessing it probably cant. 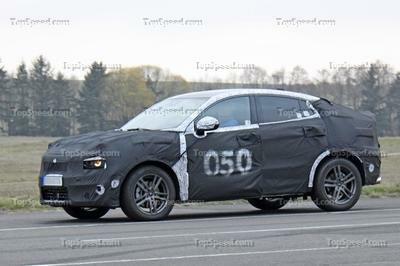 Even with the studded tires, however, it’s still a pretty admirable feat, especially for an all-electric SUV that’s still not in production and has yet to actually prove itself as a viable option to standard fuel-powered vehicles. Driven by pro rally racer, Mattias Ekstrom, the e-Tron appears to climb the slope with little trouble. It was equipped with a roll cage and safety cable just in case, but they weren’t needed. The look of satisfaction on Ekstrom’s face at the end of the run says it all. “Conquering an 85 percent gradient sounds impossible at first. 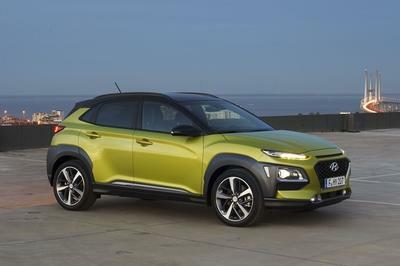 Even I was impressed with the way this car handles such difficult terrain,” said Ekstrom. So, why did Audi decided to run the Mausefalle instead of running the old Kaipola slope that it did 30 years ago? Well, the Kaipola slope was shut down back in 1994 because skiers were shooting some 32 feet into the air after launching from its slope. Obviously, that’s just too much. 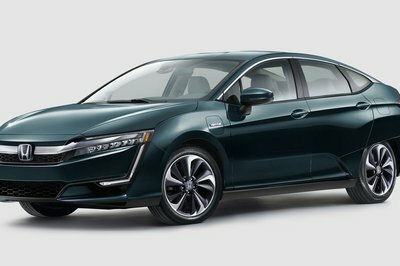 But, that actually comes as a blessing in disguise because the Mausefalle slope is more potent, and it really put the e-Tron to the test - even if it needs studded tires to do it. 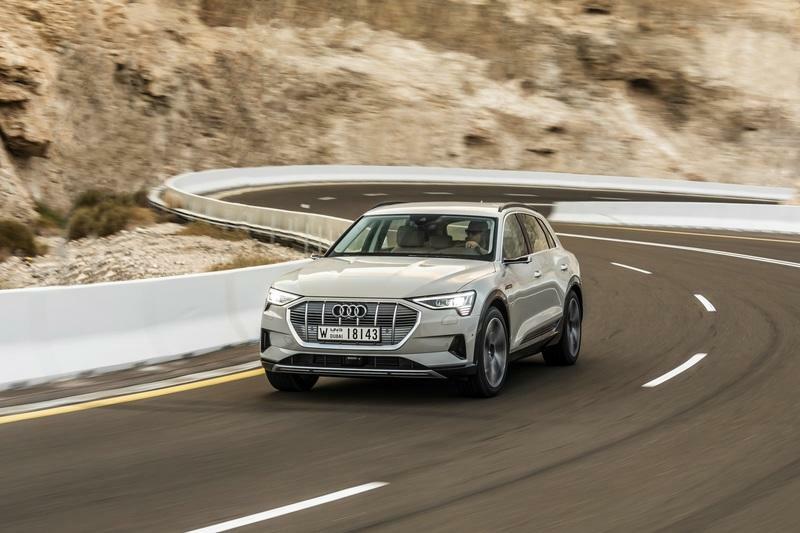 Keep in mind; the e-Tron Quattro is no slouch. 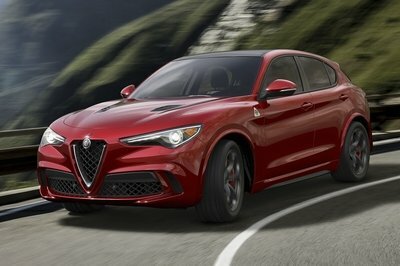 In sport mode, It delivers 400 horsepower and 486 pound-feet of torque from its electric motors. 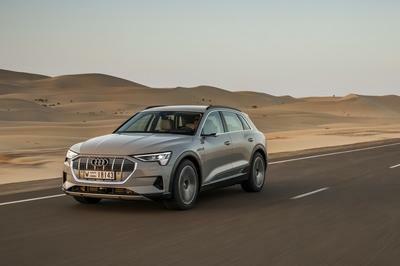 Read our full review on the 2019 Audi E-tron Quattro.